A Doral warehouse space was leased by Sky Holding Company, LLC. SKY is expanding its presence in the aviation industry in Miami with the lease of a 15,000 sq. ft. warehouse space in Doral. The property is located less than two miles from Miami International Airport and it’s a fully air conditioned facility. 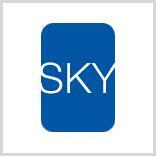 SKY is a premier commercial aircraft lessor and aircraft management company, based in San Francisco, California. The company serves major airlines around the world; having one of their aviation facilities in Miami will help the company serve their customers better and reach new airlines as well. SKY was represented by ComReal’s Miami Warehouse Team. “We realized this was a unique requirement we had to fulfill; however, with our market knowledge and familiarity with aviation companies and their facilities here in Miami, we were able to find the right property for Sky Holding.” commented Edison Vasquez. The warehouse is near MIA and is located at 8080 NW 33rd Street in the City of Doral. K aizen Realty Partners Inc. represented the landlord, Harry Hahamovitch of HHH Management. For additional details on this lease and for information on other properties available in Miami, contact the Miami Warehouse Team at 786-433-2380.